The Database on Zooplankton of Carolina Bays is an open dataset of 485,047 zooplankton specimens representing 133 taxa from 14 bays sampled monthly between January 2009 and spring 2016, collected and curated by the University of Georgia and the Savannah River Ecology Lab. Sampling and species identification was performed by members of Drake Lab. For a thorough description of sampling methods see Zokan, 2015. 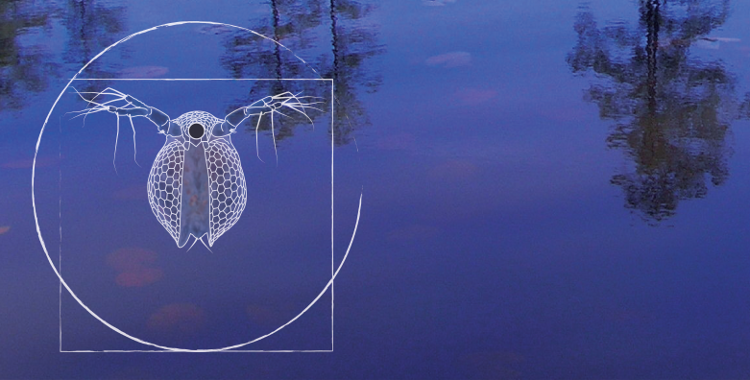 The Zooplankton Diversity Project makes these data publicly available and discoverable through a web-based data portal and data visualization toolkit developed in D3. 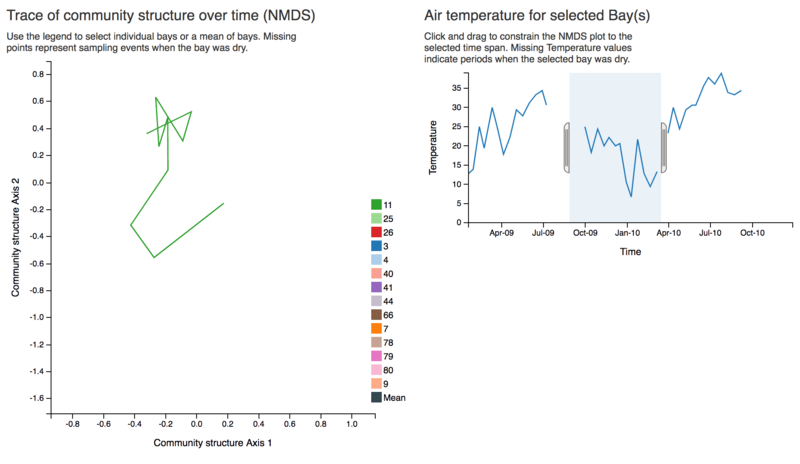 Along with bay profiles and a taxonomic tree, the site provides interactive plots of species distribution by bay, species co-occurrence, population dynamics by species and bay, and community similarity over time using Nonmetric multidimensional scaling (NMDS).